How Far is Sai Avighna? Avighna, An architectural marvel at Ulwe. 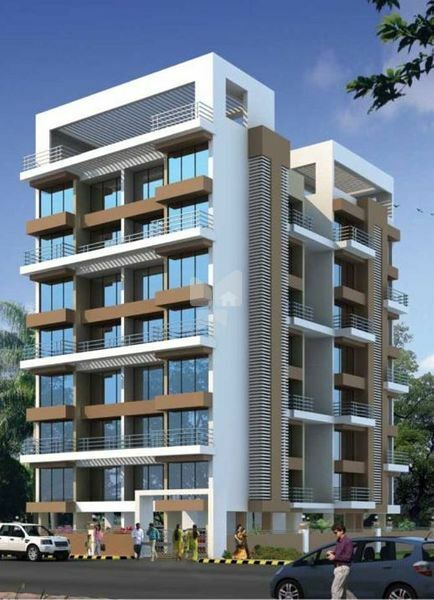 A 7 storey eminent structure dominating the area with spacious and magnificently crafted 1 & 2 BHK apartments, strategically located considering the leisure and fast life. Ulwe is a node in Navi Mumbai located between Seawoods and CBD Belapur, towards JNPT. This node consists of 25 sectors and lies just south and south-east of the proposed Navi Mumbai International Airport. Ulwe, at present, is the hotbed of new construction and development of Residential housing in Navi Mumbai. The road, rail and drainage network in Ulwe has already been developed to a great extent and is rapidly growing. Once developed, Ulwe will be the closest link to Mumbai, via the proposed Nhava-Sewri Trans-harbor link. It is already well connected to Seawoods, Belapur and Panvel by 4-lane roads. The node shall have two suburban railway stations connecting Seawoods to Uran. Vitrified tiles in all rooms with 3" skirting. Antiskid tiles in attached terrace area. Toilets with full height designer glazed tiles and one geyser of approved make in each flat. Branded fittings in all toilets. Concealed plumbing with C. P. Fittings. Concealed electric wiring with branded accessories and sufficient light, fan and domestic points. All doors with brass fittings & Sal wood door frames. Main door with decorative shutter with night latch, peephole and safety chain. Cable and telephone point in living room and bedrooms. Good quality heavy duty powder coated windows.